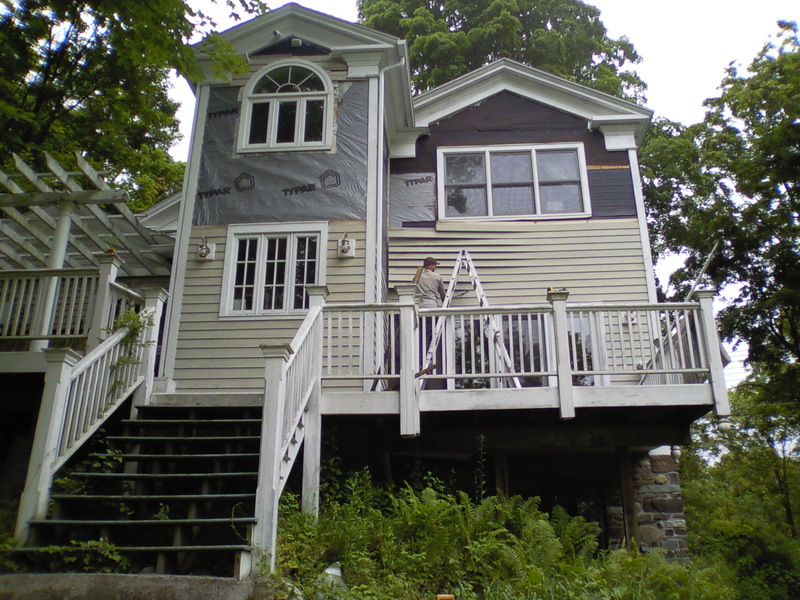 Deconstruction Works specializes in the salvage and reuse (green demolition) of houses, outbuildings, and commercial interiors in Vermont, New Hampshire, and Western Massachusetts (Lic# CS-108554; HIC-188451). Contractors and homeowners often lament the waste of perfectly good materials heading to the Dumpster every day. If you have a project large (whole house or commercial interior) or small (kitchens, baths, additions), why not let Deconstruction Works quote for the recycling and reuse of those building materials? What Deconstruction Works saves in disposal fees and heavy equipment costs we can invest in the labor needed to recover usable materials. Many of our projects achieve a 75% reuse and recycle rate. And this is not the co-mingled construction and demolition waste “recycling” that is headed to an incinerator for energy production, nor is it ground and used as landfill cover. 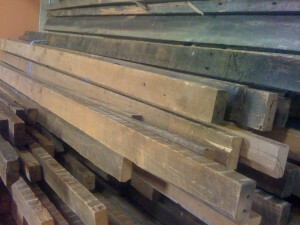 This is doors and lumber being reused as doors and lumber (or scraps of lumber composted or used as kindling). 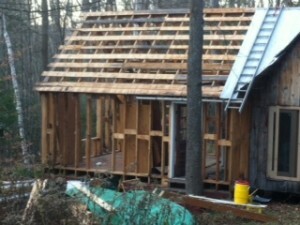 Deconstruction is a truly green practice in every sense. Deconstruction is especially suited to sensitive building sites, partial building removal, and projects that are receiving widespread public scrutiny or attention. Deconstruction costs are reasonable, and are based on building construction type, location, accessibility, schedule, and other considerations. 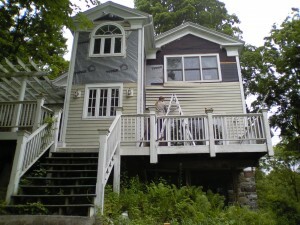 Deconstruction costs are often +/-$6-10 per square foot, typically no more than 30% more than traditional demolition. If you are able to take advantage of the tax-deduction from donating the materials, your costs may be lower than demolition. Your home’s tax deductible donation value may be between $50,000-$125,000 – a big deal at tax time! If complete deconstruction isn’t a viable option we can provide strip-out service of select, highly reusable components prior to demolition. This service and practice is also known as cherry picking, soft-stripping, or salvaging. Please see our About page for How it Works or Contact us.